During the stay of the brigades in Bajaur, there had been several cases of desertion among the Afridi Sepoys. 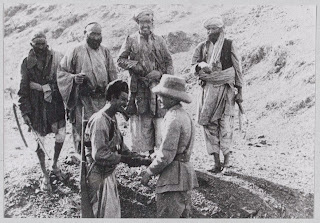 On one occasion five men of the 24th Punjaub Infantry, who were out on picket, departed in a body, and taking their arms with them set off towards Tirah and the Khyber Pass. fellow-countrymen, or even to remain a spectator of their suppression, he finds himself in a situation at which, in the words of Burke, " Morality is perplexed, reason staggered, and from which affrighted nature recoils." 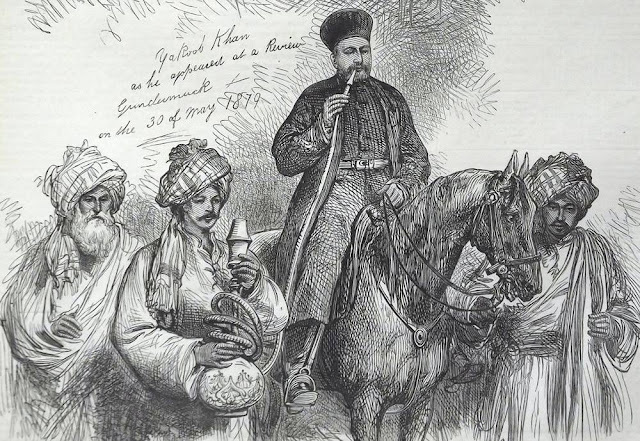 " Personally, I dou't blame any Afridis who desert to go and defend their own country, now that we have invaded it, and I think it is only natural and proper that they should want to do so." Such an opinion may be taken as typical of the views of a great number of officers, who have some title to speak on the subject, as it is one on which their lives might at any moment depend. than others are in victory. Such spirits are undoubtedly to be found among the Afridis and Pathans. I will quote, in concluding this discussion, the opinion of an old Gurkha Subadar who had seen much fighting. He said that he liked the Sikhs better, but would sooner have Afridis with him at a pinch than any other breed of men in India. It is comfortable to reflect, that both are among the soldiers of the Queen. 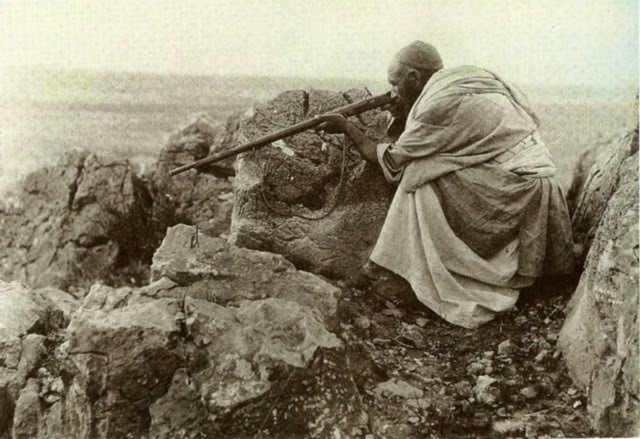 1919: An Afridi Tribesman sniper fires down upon British troops from a vantage point in the Hindu Kush mountains.